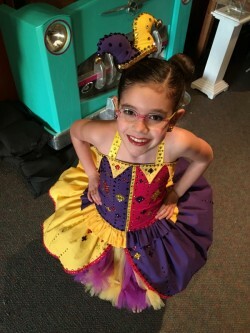 Under new ownership since July of 2014, Premier Academy of the Performing Arts is continuing to make its mark in Hendricks County and the Indianapolis west side as a family-friendly studio that strives to offer both a welcoming environment and a commitment to technically sound, quality instruction. As a studio, Premier Academy is committed to developing not just well-rounded dancers; but strong, confident, and successful young adults. Premier Academy of the Performing Arts is committed to providing developmentally appropriate instruction in a safe, nurturing environment. The staff strives to demonstrate enthusiasm, passion, and dedication to every student because no child is “just a number” to us. The Premier Academy motto is “Artistry – Imagination – Confidence.” The staff strives to teach Artistry through their passion for the art of dance; Imagination by encouraging student to express themselves in performance; and Confidence by providing each and every child with technical skills needed to shine! What does Premier have to offer? Premier Academy of the Performing Arts is proud to offer several styles of recreational and competitive tumbling and dance including tap, jazz, ballet, lyrical, modern, pre-pointe, pointe, hip hop, creative movement, and combination classes for ages 18 months through adult. Premier Academy offers multiple programs year round to fit all your needs. Call today or stop by to take advantage of a free trial class. Premier Academy is conveniently located just off of US Highway 36 in Avon, Indiana and is situated between Jump-N-Play and Mystique Day Spa. Personal items (jackets, shoes, bags, etc.) are to be stored in a cubby or left with a parent. Wear proper dance attire with hair pulled back and jewelry put away. Attendance is a key element to the development of a dancer. Come to class with a positive attitude. Students who “can’t,” won’t! Arguing and complaining will not be tolerated in the classroom.